While JeanRichard, the stable mate to the much better known Girard Perregaux, is not exactly making a forced landing on the Hudson, as did heroic Captain Chesley ‘Sully’ Sullenberger in 2009, they are attempting to steer the brand in a brave new direction. 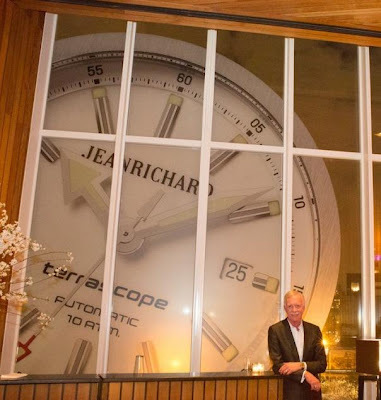 With that in mind, and armed with a brand new strategy (or should that be a new brand strategy), Swiss watchmaker JeanRichard is proud to announce its partnership with Captain Sully, introducing two new collections, 1681 and Terrascope, that stay true to the brand’s philosophy of powerful design and reliable performance. 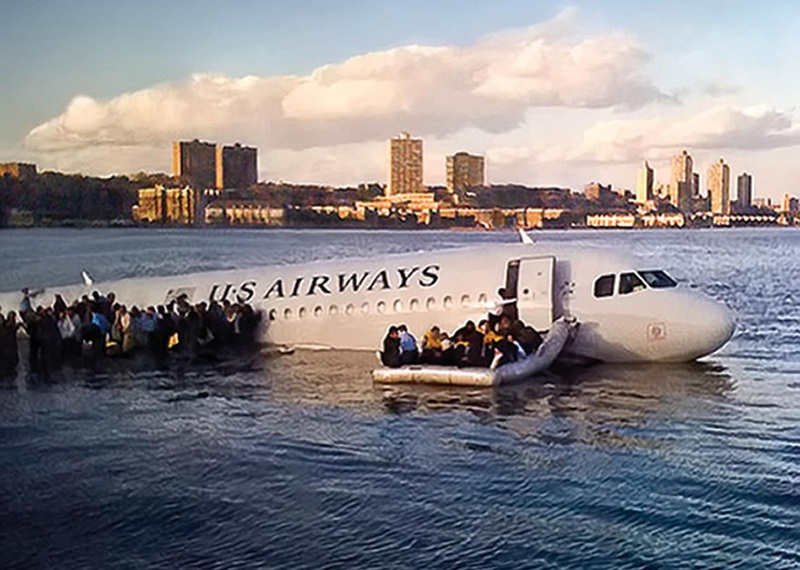 Captain Sully famously and safely landed a disabled US Airways Flight 1549 in the Hudson River in 2009 after it struck a flock of geese, thereby saving the lives of 155 passengers and crew members on board. At an impressive presentation at the Standard Hotel in New York last week, JeanRichard announced the launch of its 1681 Ronde collection, a round, vintage-look timepiece with the brand’s in-house calibre JR100. They also unveiled the sporty Terrascope model and a new version of the 1681 in the brand’s signature cushion-shaped case. New strategic changes will see a more streamlined collection of “four pillars” — the 1681, representing the heritage and craftsmanship of Daniel JeanRichard and using only manufacture movements,” plus three additional collections, more in a sport watch vein, representing the elements: air, earth, and water. The “earth” pillar is the new Terrascope (shown below); “water” will be a revamped version of the brand’s existing Aquascope divers’ watch; while “air” will be an all-new model called the Aeroscope. 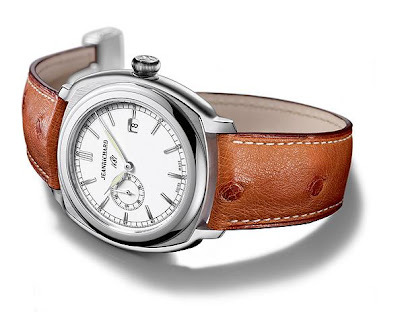 These new watches will make their debuts at Baselworld 2013. The Aquascope and Terrascope both use a Sellita base movement, while the Aeroscope will have a chronograph movement developed with Dubois Dépraz. Rather than pursue other types of celebrities such as actors and athletes, the company sought a more “down-to-earth” spokesman. “In Sully, we found an ordinary man who did an extraordinary thing,” Grande said. This spring, Sullenberger will visit Baselworld as a guest of JeanRichard, for the launch of its new Aeroscope and Aquascope watches. 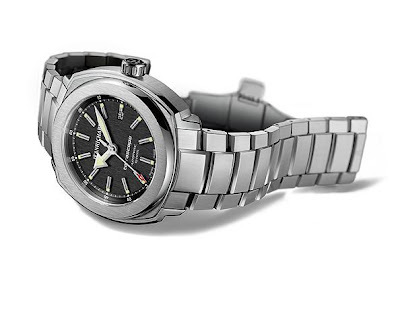 While there are similarities between the two models, the Terrascope has sharper more defined edges than the rounded and elegant 1681 range although the indices are the same. In the 1681 watch, the rhodium-plated dial features a date display at 3 o’clock that sagely surveys the rotation of the pink gold-plated hands. The hands glide over an hour-circle made up of baton indexes and Arabic numerals that are also plated with pink gold. It has perfect readability thanks to the touches of superluminova on the hour and minute hands. The brand’s characteristic cushion-shaped case is here clad in pink gold. Its generous dimensions – 46mm across between 9 and 3 o’clock – are designed to allow the time indications all the space that they require. This timepiece is available with a thick mahogany-coloured alligator strap, of which the round-scaled skin of the lining and the light-coloured double-thread stitching accentuate the model’s original, vintage character. The steel-coloured hour and minute hands are sporty in style and highlighted with superluminova. The applied indexes hollowed out into a U-shape have alternating polished and shot-blast finishes that emphasise the volumes concerned and are prolonged with a block of luminescent material. The date display is positioned at 3 o’clock and the central second hand has a red arrow streak. These are features which reveal a timepiece that is very much its own master. The style of the new Terrascope watch continues with its steel bracelet whose polished and satin finishes accentuate its sporty feel. It is also available with a blue bracelet for a totally monochrome look. Te watch is powered by the self-winding JR60 calibre provides the accuracy required of a watch that will accompany your day-to-day life, with the new JEANRICHARD logo engraved on its case back. The signature of a whole philosophy: that of a life that is relished every day with undiminished eagerness.